Building Science 201 is a new module introduced this semester (Year 2, Sem 1). However, I feel that this is a continuation of previous module of Ecologically Sustainable Design module which is taught by the same lecturers too. 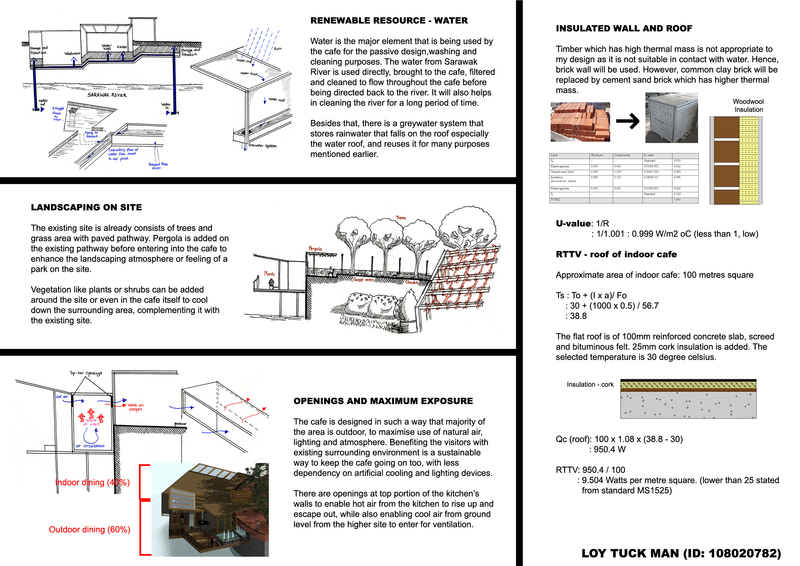 This module is all about building systems, like passive design strategies, energy-efficient principles and thermal performance. The other aspects that would be studied in future under this module is lighting, acoustic, etc. Project 1 is about recording temperature and humidity outdoor and indoor of a selected house, then research and analyse on the findings, tabulate the results in proper way, explain on the problems, calculate U-value and OTTV, and suggest passive design strategies to it…which concluded in a over 100 pages booklet for it….and it costs only 15 percent. Project 2 is individual work, which we have to select one of our design project and suggest at least five passive design strategies with sketches, diagrams, and explanation. This work of 2 nos of A2 size boards cost 25 percent. The percentage seems a bit weird and imbalance, right? The worst thing is that the final examination costs 60 percent of the whole semester…that’s a lot and too much….but it is okay…we managed to answer it well…. It is very important for passive design strategies to be implemented into our designs, which would be real in future, as we step into the career of architect…it is our responsibility to design energy-efficient, environmental-friendly,effectively-green building for future…. 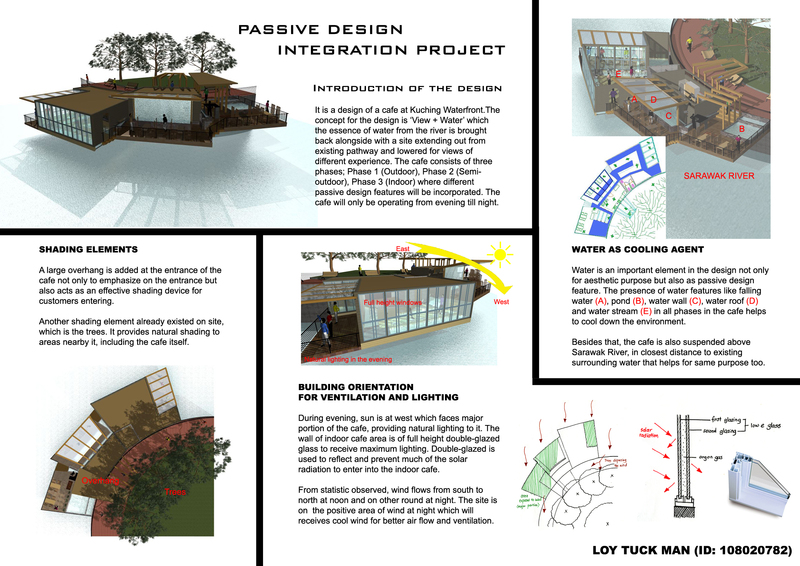 This entry was posted in Architectural Territory and tagged 201, architecture, assignment, board, building, design, example, integration, module, passive, project, science, strategies by vincentloy. Bookmark the permalink.